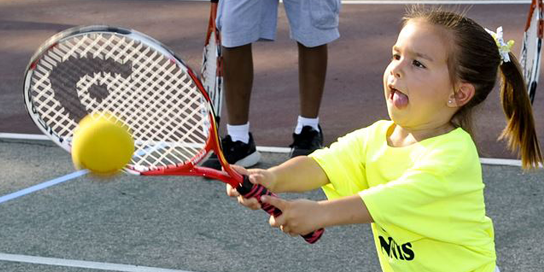 Join us this summer for fun, games, activities and tennis planned for you! Camp will run rain or shine. In the event of rain, games, activities and skill drills will take place in the clubhouse. This camp is designed for kids ages 5 – 12 of all skill levels. Rackets are available for use during camp, however, participants are encouraged to bring their own. Camp fee includes daily drink and snack. Campers are required to bring a water bottle, sunscreen and sack lunch.